Every birder will tell you that one of the big reasons they love the gentle art of birding is enjoying the outdoors. With a pair of binoculars and camera (optional), you get to slow down, connect with Mother Nature, and observe birds in their natural habitat. Birding makes you appreciate what’s around you. There’s no need to be in top physical condition or train for months or years on end. You just have to love nature. That’s it. What is it then about birding on Virginia’s Eastern Shore, in particular, the Cape Charles area, that makes it a premier birding location in the US? For openers, the Eastern Shore is an important migratory flyway. As the birds fly south, they congregate at the narrowest point of the peninsula, waiting for good weather to continue their journey. That’s why birders can expect to see 439 different species of birds! What’s more, there are literally thousands of our feathered friends flocking to the end of our peninsula. If that’s still not enough to excite you, try this. You have a wonderful opportunity to see these majestic creatures in close proximity to you. How cool is that? All trips require planning and a birding excursion is no exception. There is so much opportunity here to see different kinds of birds, it’s hard to know where to begin. 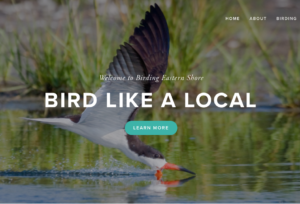 Fortunately, in response to the huge birding demand, the Eastern Shore of Virginia Birding & Wildlife Programs, Inc. created an extensive website with all the information you need to plan your trip. Use this fantastic resource to plan your trip, connect with nature, and see the birds you love! Kiptopeke State Park—A beautiful park and a protected bay for seabirds, Kiptopeke identifies and counts bird as they fly south and north each year. All types of raptors come through here every year. Kiptopeke also has a hawk watch every fall. Tunnel Islands on the Chesapeake Bay Bridge Tunnel—There are so many birds moving up and down this area. You’ll likely observe peregrine falcons and seabirds you wouldn’t see from the shore. In the Spring, there are plenty of spring warblers, as well as all kinds of smaller birds. You will have to make arrangements ahead of time and pay for a guide. 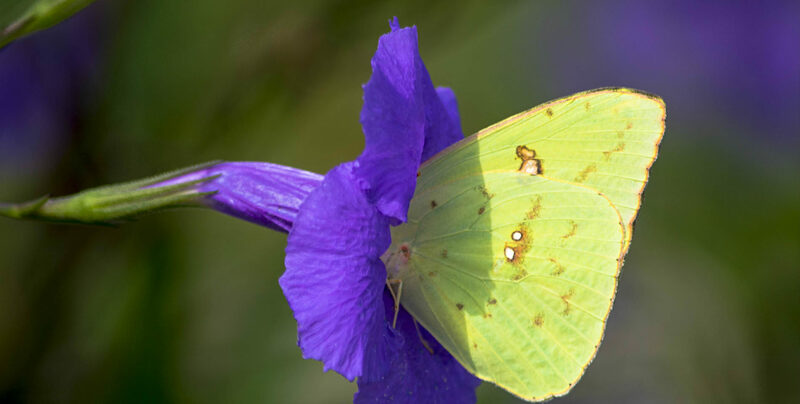 Eastern Shore of Virginia Refuge Butterfly Trail—Located at the tip of the Delmarva Peninsula, this is one of the most important avian migration funnels in North America. Fall is the scene of a spectacular drama of songbirds and monarch butterflies, as well as thousands of raptors. Cape Charles Coastal Habitat & National Area Preserve—This small 29-acre preserve on the south side of Cape Charles harbor boasts 250 species of birds. Fisherman Island National Wildlife Refuge—This southernmost barrier island of the Virginia Eastern Shore, is about 250 years old. With over 2,000 acres and over 300 species of birds recorded, it’s a delightful way to spend your day. Plan your whole birding trip right from the Birding Eastern Shore website, including where to lodge, shop, and eat! Stephen Coari says it best. “When I cross the Bay Bridge, I’m going back 50 years in time. There’s lots of farmland, lots of refuges and nature conservancy type places. Martina Coker, board member and Vice-President of Eastern Shore of Virginia Birding & Wildlife Programs, Inc. echoes Stephen’s sentiment. Birders, casual or seasoned, love the unspoiled habitat of the area and the commitment we have to conservation. You can enjoy the area all year long, too, because birds don’t have an off-season. You can enjoy observing different species of birds all year long! Want to combine food, fun, and birding on your Eastern Shore getaway? Thought so! The Eastern Shore of Virginia Birding & Wildlife Programs, Inc. has two events coming up this fall you won’t want to miss. Partnering with Cape Charles Brewing Company, they will co-host the Birds, Brew & Barbecue event, September 14th. Bay Haven Inn of Cape Charles will keep you posted on the details as they develop. 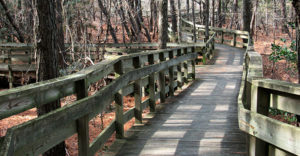 In partnership with the Eastern Shore of Virginia Tourism Commission, there will be a scavenger hunt! 50 Days to Explore the Shore, held between October 1st-November 19th, will offer great fun to explore not just birding sites, but festivals, food venues, and much more. So birders, heed the call! We can help. 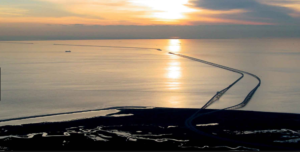 Bay Haven Inn of Cape Charles can act as your concierge to arrange your itinerary. Give us a call and we’ll work out all the details. Just show up and enjoy your beautiful birding adventure! After a delightful day of birding, sit on our porch and enjoy mockingbirds nesting in our Camelia and Purple Martins landing on our neighbor’s unique gourd house. A variety of birds hang out in our huge Magnolia tree. See them all from our porch! 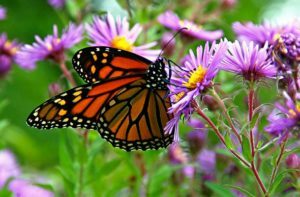 This entry was posted in Bay Haven Inn Experience, Events, Summer, Uncategorized, winter and tagged Birding Eastern Shore, Eastern Shore Birders, Eastern Shore of Virginia Refuge Butterfly Trail by admin. Bookmark the permalink.